Adaptive radiation therapy is a treatment approach that uses frequent imaging to compensate for anatomical differences that occur during the course of treatment. Images are taken daily, or almost daily. When significant changes are observed, replanning is considered. Naturally, the treatment planning system will have a critical role in this approach. RaySearch has collaborated with leading cancer centers worldwide, such as Princess Margaret Hospital in Toronto, Canada, to pioneer adaptive planning. As a result, the RayStation® treatment planning system is specifically designed to make adaptive therapy faster and easier in clinical practice. It includes modules for dose tracking and adaptive replanning, as described below. In this first tutorial, you will get a general introduction to adaptive radiation therapy and on how to do dose tracking in RayStation. By using the dose tracking module in RayStation the actual delivered dose to the patient can be evaluated. The dedicated module and the fast and diverse tools make it possible to evaluate both daily changes as well as evaluating trends as the treatment progresses. During treatment, fraction images are acquired daily or regularly for patient positioning. When treatment time images of the patient, from CT, PET/CT, cone-beam CT or MR, are acquired - it is possible to use these images to evaluate the daily delivered dose. With the dose tracking module in RayStation, it is possible to recalculate, deform and accumulate doses from different fractions in a common geometry, thereby computing the actual dose delivered to the patient anatomy. Synchronized side-by-side views of planned and delivered dose. If you’ve watched the tutorial #1, you know the basics of dose tracking using RayStation. Now let’s take a step back and look at the actions required to actually perform dose tracking. When images of the patient in treatment position are acquired during the treatment course, deformable image registration in RayStation allows structures on the planning data set to be propagated to the fraction data set for dose evaluation. It also allows the delivered dose to be deformed back to the planning CT and accumulated for a comparison with the planned dose up to that fraction. The deformable registration also allows for fast contouring of the fractional image data sets. Contours from the planning image set, or other fractional image set, can be propagated to the new image using the known deformation. Tools for analysis and evaluation of deformable registration. In this tutorial, we will look at how you can make an adapted plan in RayStation for when you you have delivered a number of fractions of the treatment for a given patient and realized that you need to do a modification of the treatment plan in order to avoid underdosage of target or dose escalation in organs at risk. We can also recommend you to watch our two other related tutorials introducing adaptive radiation therapy in RayStation and showing how to use and perform dose tracking. 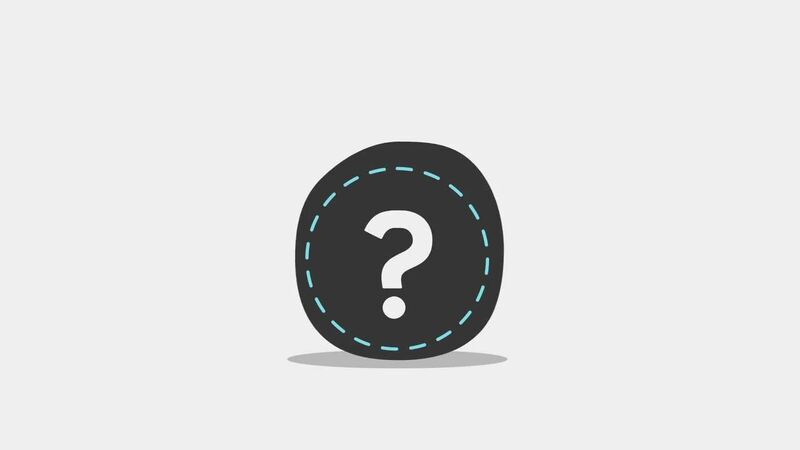 Based on the information collected through dose tracking, a decision can be made whether or not to modify the treatment plan. The adaptive replanning module provides a wide range of adaptive offline or online replanning tools that take into account the accumulated dose and observed deviations of the patient geometry. Plans can then be re-optimized and adjusted to compensate for dose coverage problems or to adapt to adjusted clinical goals. Optimization objectives can be set per structure to assure dose levels on future fractions only or to include already delivered dose to meet total dose constraints on organs at risk. The replanning options range from simple adaptations such as adjustments of beam weights to complete replanning that involves reoptimization of the intensity modulation. Fraction schedule showing delivered and re-planned fractions. Toolbar including relevant parts of plan creation, plan optimization and plan approval. Adapted plan creation based on planned fractions. The Radiation Oncology Department at Auckland City Hospital, New Zealand, has made great strides in boosting efficiency over the last few years, while taking quality of treatment to new levels. It’s a shift in which technology has played a significant role. Today, the department is a pioneer of adaptive therapy. It also boasts one of largest VMAT programs in Australasia and operates a completely paperless workflow. Proton therapy is an exciting modality in radiation oncology. The Provision Center for Proton Therapy has not only embraced proton therapy, but also the concept that it must be used in conjunction with other advanced technologies, like adaptive radiation therapy and robust optimization, that will assure treatment accuracy. During radiation therapy, the patient’s anatomical state is not static. Many different factors contribute to a shifting picture, and it is essential to account for uncertainties in order to ensure the quality of the treatment plan. 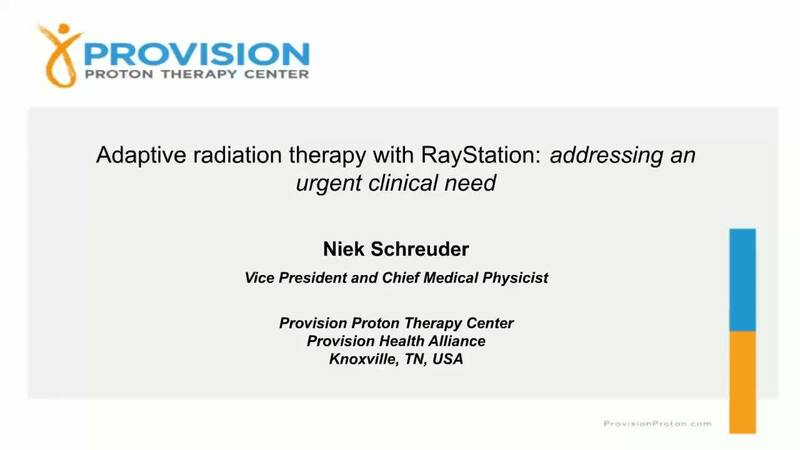 In the first half of this webinar, Niek Scheuder, Chief Medical Physicist, will share his experience from implementing an adaptive planning workflow with RayStation at the Provision Center for Proton Therapy. In the second half, Cameron Ditty, Senior Physicist, will explain the concept of robustness in RayStation, illustrating with practical examples. Robust optimization handles possible variations that are not sufficiently accounted for by PTV. The resulting plan maintains target coverage while reducing dose to critical structures, even if anatomical changes or positional errors occur.